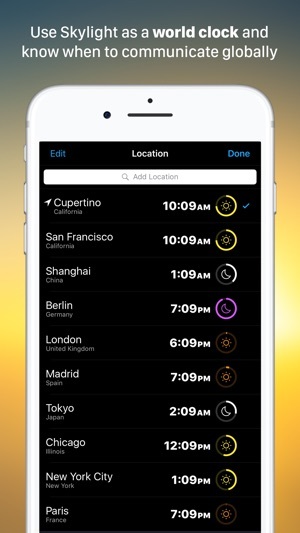 Brighten your day with Skylight - the sun clock for everyone. 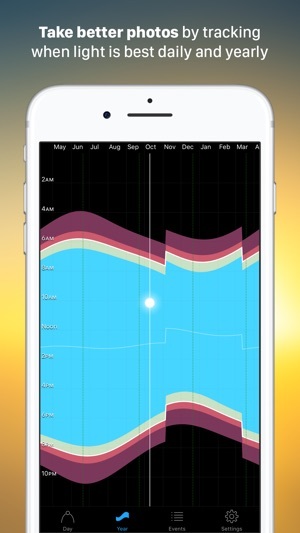 Skylight tracks the sun and offers useful info and notifications that help align your life around sunlight. 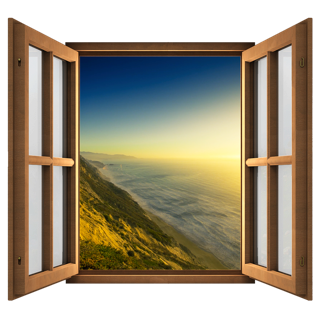 One of the easiest ways to become a happier person is to experience more sunlight every day. 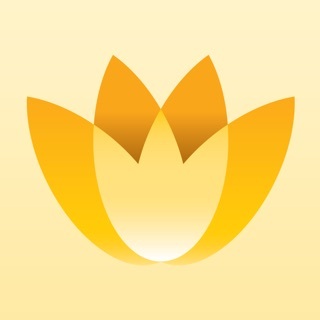 Skylight can help make that happen through a beautiful app experience designed for everyone. Create a routine around sunrise every morning. Remind yourself to step out at solar noon for a sun break. Take better photos by shooting during Golden Hour. Start getting outside to see the sunset more. Gain a better sense of sunlight lost and gained through the seasons and adjust your routine to make sure you get enough light. Motivate yourself through the winter months by reminding yourself that days are getting longer. The uses are endless but the goal is the same - better living through more sunlight. 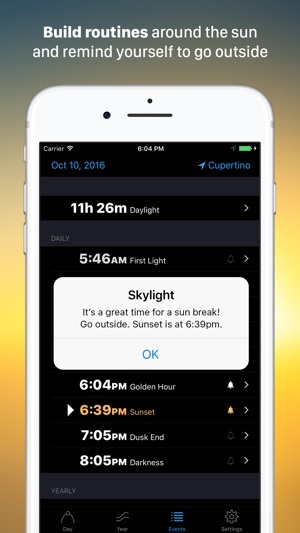 Skylight includes a universal app for iPad and iPhone, an Apple Watch app with complications, and a Today Widget. 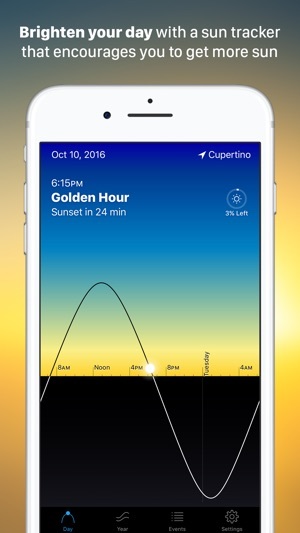 The Apple Watch complications show you how much sunlight is left in the day, or when upcoming events like Golden Hour are taking place. The complications are a beautiful addition to the watch face and offer one of the most effective ways to use the app. 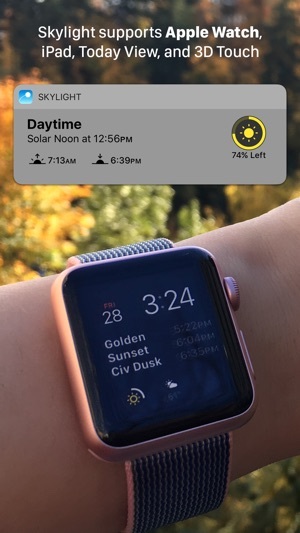 The Today Widget shows you the app information in a quick, glanceable form, so daylight info is always at your fingertips, either in your Today view or with a 3D Touch on the app icon. 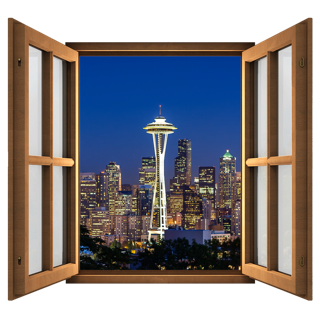 - Skylight can optionally use GPS in the background to ensure notifications are correct even if you change location. 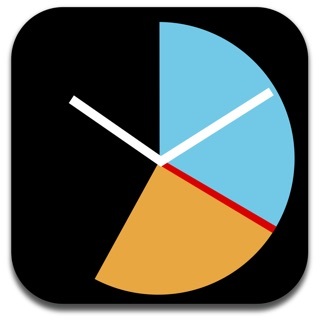 Skylight is an indie app developed by the creators of Magic Window. 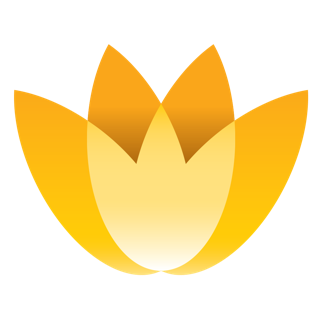 We strive to make beautiful software that connects people with the world. 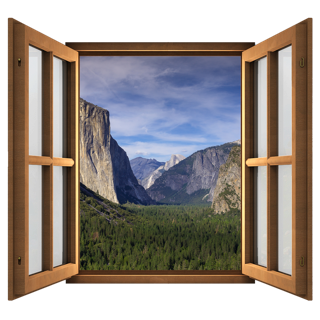 If you have any issues or questions please contact us at support@magicwindowapp.com. I find it a real drag when the sun goes down. It's so nice to see a simple little complication showing how much "energetic time" there is left in the day before it starts to feel like the day's over. Perfect for my real estate business. I can know when it is too late to take exterior pictures, and time my appointments accordingly. I love this app and hope they fix this , the times is not accurate in my location and its sometimes 3 minutes difference , i live in kuwait city hope u fix this.